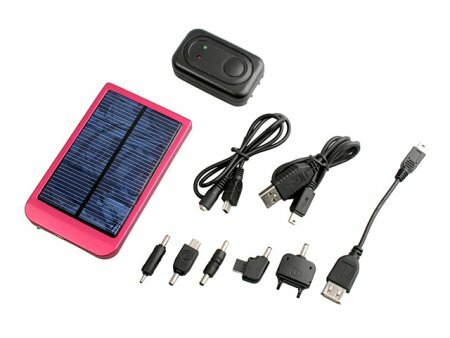 Go green with the USB Solar Mobile Charger from Brando – this device features a 1,500mAh lithium battery, storing up juice harvested from the sun’s rays for a time when you need it most. It will feature connecting tips with cell phones, digital cameras, MP3 players as well as portable media players – heck, anything goes as long as there is a right adapter to fit your gizmo. Should the days be particularly overcast, there is always the AC charge ability that helps you juice up the USB Solar Mobile Charger via a power outlet or through a USB port. Perfect gadget for the traveling dad, and the price ain’t too shabby at $37 either. The 10 Coolest Steampunk Gadgets… Ever! I see the amperage but what’s the voltage output? Specs are incomplete for purchase. I need this solar charger to make a business here into my country. In our village here, people don’t have electricity but they have mobile phone; so when the battery is discharged, they have to go far away from their village to charge the battery of the mobile phone. But if they have this solar charger, there is no need to go somewhere else.